With a couple of yachts and cruisers we have at disposal, it may turn out to be a tough decision for you which one to pick. BabaSails Yachting guarantees a great time on each of them, but the subtle differences can matter. Hence, this is what you should have in mind before booking a yacht for cruising around Halkidiki. 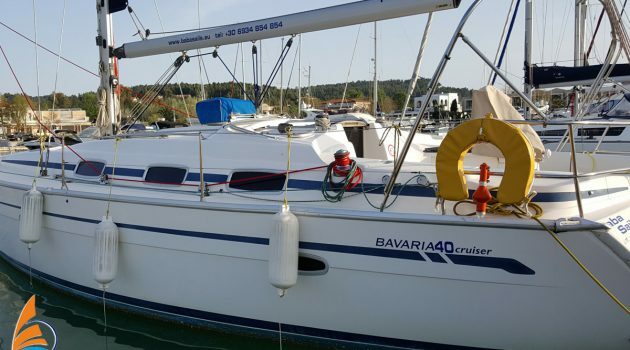 With all features considered, Bavaria 40 combines most benefits and conveniences. The design of Bavaria 40 allows comfortable accommodation of up to 6 people. This versatile cruiser has 3 double cabins with all needed amenities. It has Wi-Fi, so you can get timely updates about anything you may need. The yacht’s cockpit is very functional. Furthermore, you can use its side seats for admiring the beauty of the sea around Halkidiki. Unlike many smaller ships, this yacht provides 2 steering stations in the cockpit. What is more important, the helmsman can count on great visibility and leg support. Bavaria 40 is 12 meters (40 feet) long, providing extra seating places. The interior of the sailing yacht is quite comfortable. It has a lot of storage space for your equipment. As of ventilation, which tends to be a problem with many yachts, no need to worry about that here. Cabins have hatches and opening ports. 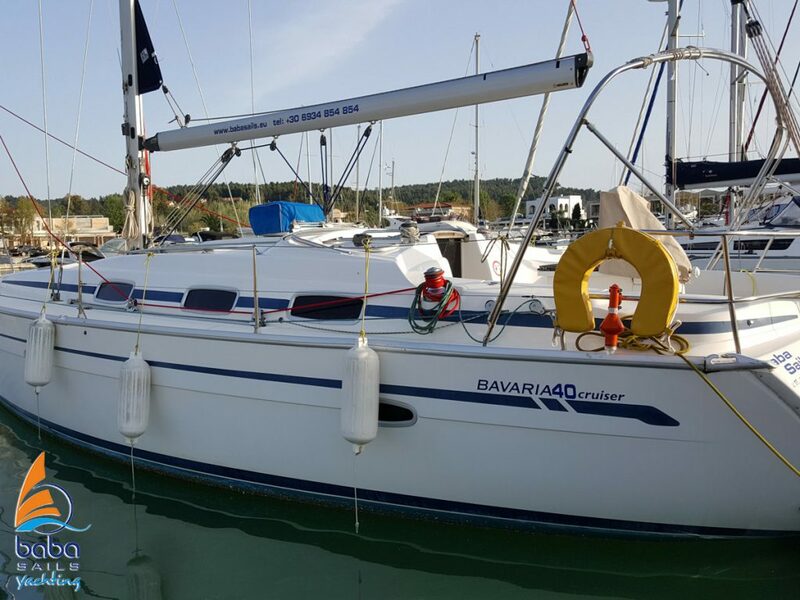 Also, you will find that Bavaria 40 has a strong construction and that it is ideal for a coastal cruise. Azimut 43 isn’t only a nice-looking yacht. As much as you will enjoy its design, its speed will leave you in awe. Like Bavaria 40, it has 3 cabins, 2 WC and Wi-Fi. Beneteau 393 adds air-conditioners on top of other amenities. It is particularly ideal for longer cruises since it has a large kitchen and living rooms. The boat is almost 12 meters long. Jeanneau Sun Odyssey 36.2 is another yacht on offer from BabaSails Yachting. It has 3 double cabins and you can add a separate berth in salon, if needed. Finally, Feeling 416 is a comfortable yacht, offering pleasant atmosphere with its port-lights.